Live in tents are modular tensile structure builds to cover smaller to a larger area at the different glamping sites. These permanent / semi-permanent resort tents are ideally suited for off-grid hotel accommodation, temporary staying in a luxury tent house during a campsites, family who want to enjoy spending holidays staying outdoor by living in a tent, private resorts or a beach areas. For tourism Industry, it can be value for money investment as it can be easily assembled to provide shade and shelters for tourist visiting at their location. 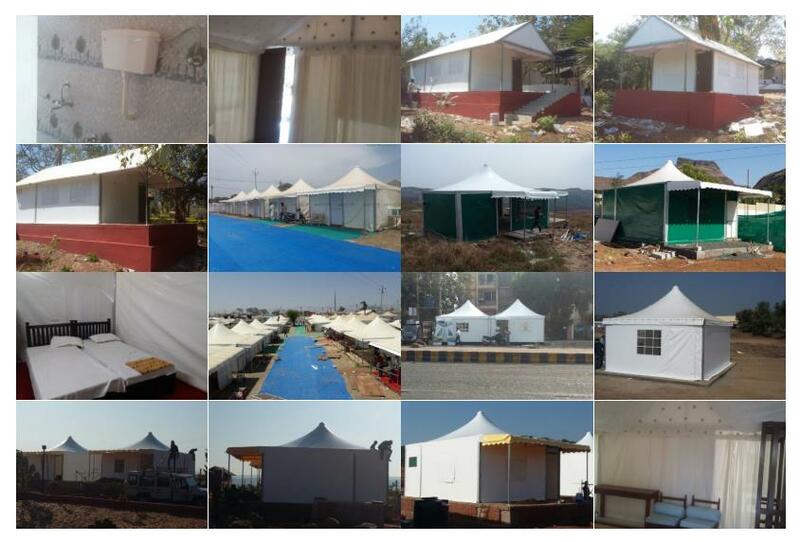 SprechIndia live in a tent are tensile pagoda tents, and others model made from special PVDF fabric coating for better performance and durability. Moreover, they are waterproof, fire retardant and hard-wearing for the Indian subcontinent.